Why Enrol your pup in Puppy Preschool? Puppies are adorable, but they can also be 'naughty'. Unfortunately, 'naughty' behaviour as a pup can lead to unmanageable behaviour as an adult dog. All those cute little things that they do actually have meaning in their development. They are constantly taking in information and learning - they do something, look at your response, and adjust the behaviour accordingly. 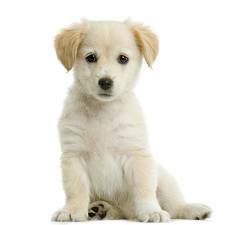 This very impressionable period for the puppy brain lasts until around 4 months of age. During this time, these good & bad behaviours 'imprint' permanently in their brain. This means that the first couple of months are cruicial to their developement and you have the opportunity to show them what is acceptable behaviour using rewards and what is inappropriate, by ignoring. So this is when they learn the right way to behave by our consistency and reinforcement. However, if we do nothing, the wrong behaviours can also be inadvertently reinforced and we can add to all these woes later in life. *Spaces are limited so phone to book your spot today!